A statement has been posted on the Facebook page set up to coordinate search efforts. For more information, follow coverage by NBC's local affiliate. 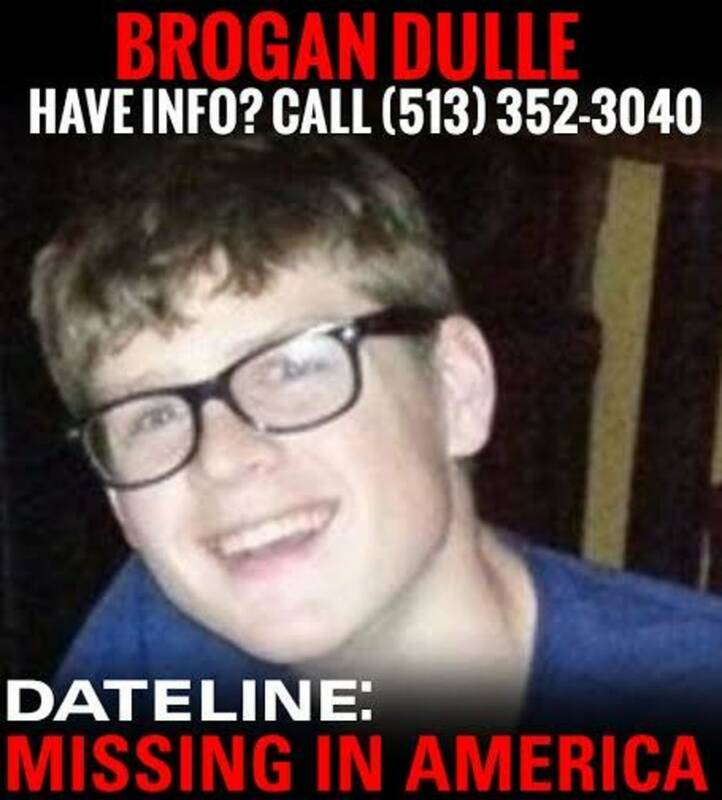 On May 18th, Brogan Dulle, a University of Cincinnati student, told friends that he misplaced his cellphone and went outside to retrace his steps. 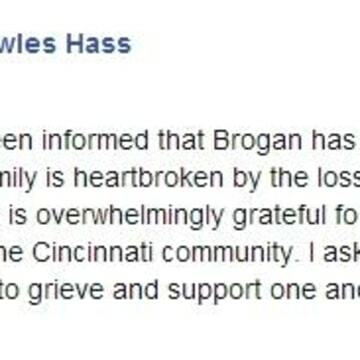 There has been a "tremendous response from the Cincinnati and UC communities," according to Laura Lewis, the family spokeswoman. "We have canvassed the city with fliers in just five days in what we had anticipated would take weeks to accomplish." 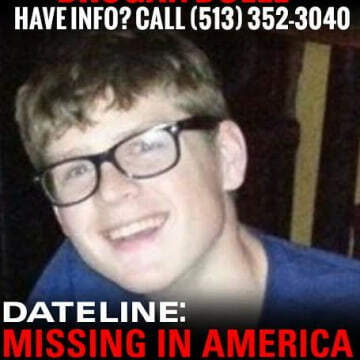 Dulle was last seen wearing a blue or purple shirt and khaki pants near his apartment on E. McMillan street in Clifton, OH. For more information, you can visit a Facebook page set up by the family.